This lecture focus to Presentation on Relational Database Design. 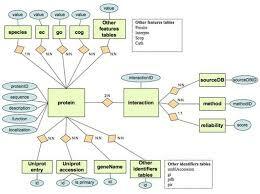 This focus to discuss on Features of Good Relational Design and Atomic Domains and First Normal Form and Decomposition Using Functional Dependencies. Here also describe Functional Dependency Theory, Algorithms for Functional Dependencies and Decomposition Using Multivalued Dependencies. Finally analysis More Normal Form, Database-Design Process and Modeling Temporal Data.